EXECUTIVE SUMMARY: Modacruz.com, based in Turkey, is a social e-commerce platform for women, which enables them to trade their own luxurious fashion items with other women in a secure online environment. As the company business model proved successful, the platform user base expanded at a fast pace. To optimize its cloud infrastructure, the company took advantage of CloudBasic’s signature SQL Server replication technology to aggregate vast amounts of data into an Amazon RedShift data warehouse. It also deployed business intelligence tools from Tableau Software, which connects natively with RedShift and allows powerful data analytics via a simple drag-and-drop interface. The resulting optimized cloud infrastructure is at a fraction of the cost of traditional alternatives. A short stroll on the streets of Istanbul makes it immediacy obvious that Turkey has become an important junction in the fashion world. Both local brands and international names compete for the attention and wallets of Turkish women. Recently the fashion world witnessed the emergence of a new industry player, which brought in a large wave of new buyers into the mix. ModaCruz.com, founded in 2014 in Nisantası, Turkey, is an innovative social eCommerce platform, which enables women to trade their luxury clothes and accessories, and share their fashion closets with other women. The company tapped a unique business opportunity that intertwined fashion with social networking, e-commerce, and mobility. One of the keys to the fast growth of ModaCruiz is that its model allowed many women to acquire almost new luxurious fashion items, which they might not otherwise be able to afford. In addition, the secure ecommerce platform fosters an environment of trade with genuine products, rather than low cost imitations. And perhaps most importantly, it helps trendy women off load their last year’s purchases from their closets, so that they can go shopping in the chic malls throughout the city and refill their closets according to the latest fashion trends. As the ModaCruz platform gained popularity in the dynamic fashion world, and vast amounts of user data accumulated, the company faced the challenge to optimize its cloud infrastructure and manage the data in the most efficient way possible. The management team realized the need to acquire a powerful data warehousing solution, which would enable them to make clear management decisions based on data, accurately reflecting the actual user behavior on the platform. At the same time, access to that data for analytical purposes should not unnecessarily burden the database servers, as the optimal performance of the social ecommerce platform is of paramount importance. The IT team was also looking to deploy a cost-effective cloud-based high-availability (HA) and disaster recovery (DR) solution. ModaCruz.com turned to CloudBasic and its robust server replication technology to deploy an optimized data warehousing solution that would meet all requirements. The configuration included a sophisticated cloud architecture, where data is aggregated and fed into Amazon RedShift data warehouse, against which a third party reporting solution from Tableau Software can run advanced analytics. Utilizing CloudBasic’s RDS Multi-AR for RDS SQL Server & RedShift, the client can continuously feed data changes from AWS RDS Servers into the SQL Server pre-installed on the CloudBasic instance, with mirroring to RedShift with a low latency. AWS RedShift was chosen because it is a fully managed and scalable data warehousing solution, which integrates well with a broad variety of business intelligence tools. Tableau Software was particularly suitable for the project because of its interactive data visualization products, which are focused on business intelligence. Levering the cloud with cost effective advanced analytics and disaster recovery bundled solution! ModaCruz achieved a consolidated data layer from all RDS SQL Server Databases. As a result, it implemented a disaster recovery solution, and gained valuable business intelligence insights to enable further growth. For more information about ModaCruz, please visit ModaCruz.com. Leverage the cloud at its best! 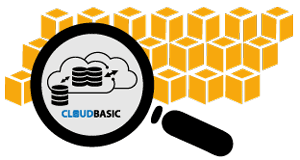 To learn more about CloudBasic and its cloud technology products, please contact CloudBasic.